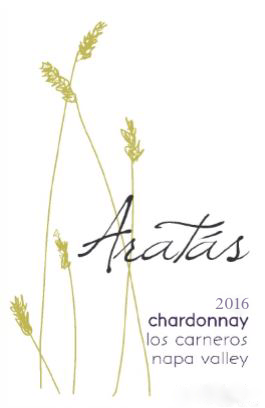 This is the 5th vintage for Aratas Wine, Napa Valleys producer dedicated to the American Heritage Grape. 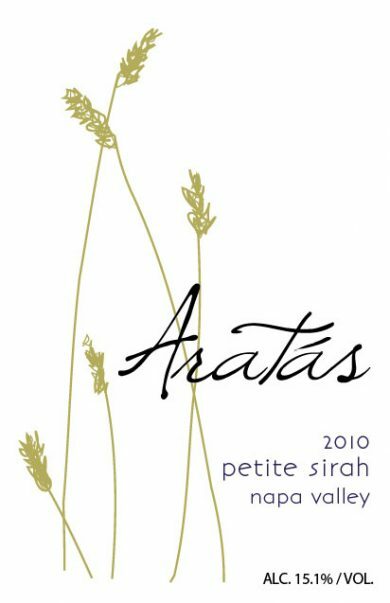 The 2012 Napa Valley Petite Sirah is grown on the valley floor in the Oak Knoll District of Napa Valley. 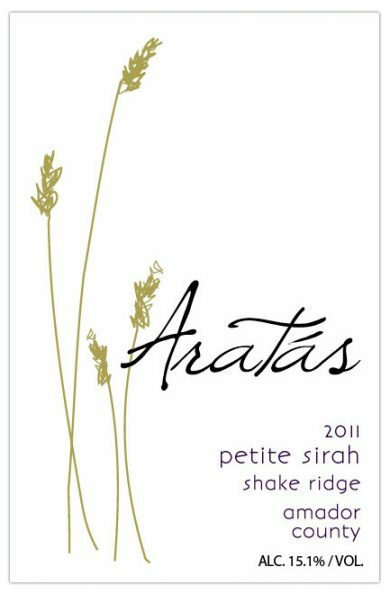 This limited production premium Petite is produced by Winemaker Matt Sunseri and Vintner, Stephanie Douglas. 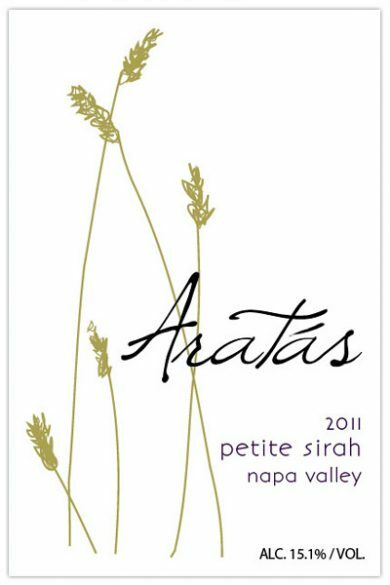 The fifth vintage of Aratas Petite from our flagship vineyard planted to vine in 2001 in the Oak Knoll District of Napa Valley. It was an excellent growing season for us. This established vineyard is typically dry farmed. A mild spring with occasion soft rain late in the season gave the vines a bit more vigor than they expected as bud break set in the tail end of March. The wet winter, by recent standards that is, gave us a good fruit set with no weather related issues to manage such as frost or shatter. This set the team on notice that extra work to manage shoot position and lateral growth would be needed. Bloom was perfectly timed between rain showers and the set was notable and the first of three passes to thin the clusters was performed in late April, it was already looking to be a very good year. With steady seasonal temps, fruit set and cluster development was rather robust. Robert went to work opening up the canopy to let the sun stream in but also reduce the leaf layers. Another fruit drop was made just before Veraison started mid -July and carried on into the early part of August just as the summer started to heat up. The whites lingered a bit in many areas of the valley but the year threw no curve balls such as untimely frost, severe heat or sudden rain showers; a wonderful reprieve from the previous vintage which tested everyone. That said, the growing season culminated in a crescendo with everything coming together for vintners across the valley seemingly at once. This is why we call it “the crush” and the yields of 2012 were well above average. The thick skinned Petite Sirah naturally protects from sunburn and evaporation so while others started heading for the barn, we let the gems linger into October. The high temps were stable and holding in the 80’s so it would give us the opportunity to let the grapes ripen to their utmost potential. Harvest occurred at sunrise on October 8th, 2012. It was a near perfect year with Mother nature failing to throw us a fit so we were most pleased to bear a hearty vintage of exceptional fruit. With the new optical sorter on deck we took the opportunity to barrel ferment 30% of the fruit whole cluster in barrel and the remainder went into tank after 5 days of cold soak. The wine was gently pressed off and aged in 30% new Hungarian Oak for 30 months then bottle aged for an additional 6 months. 100% Petite Sirah, 30% Whole cluster barrel fermented, Hand and precision optical sort. Aged 27 months in 30% New Artisan and Trust Hungarian and French Oak barrels M+. Bottled unfiltered and unfined on native yeasts. © 2017 ARATAS. ALL RIGHTS RESERVED.